Archive for Boku dake ga Inai Machi. 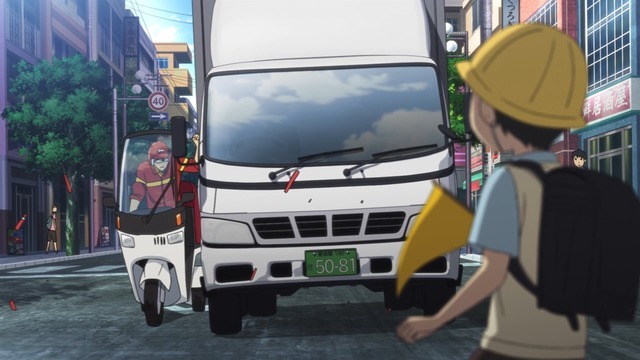 The only thing more dangerous than a Japanese truck would be two Japanese trucks. 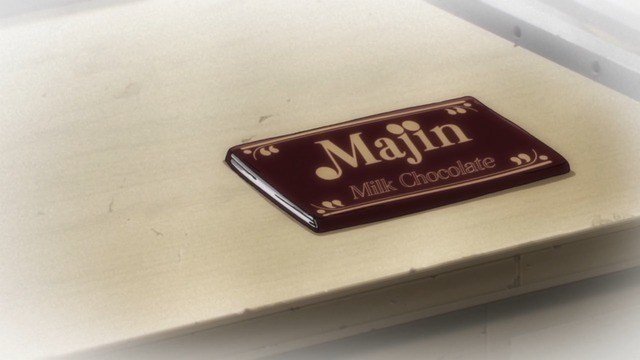 Boku dake ga Inai Machi (literally The Town Where Only I Am Missing, but officially ERASED or commonly Bokumachi) is widely regarded as one of the best shows this season, just behind Shōwa Genroku Rakugo Shinjū. I rank ERASED quite a bit lower because of problems I had with the end of its first episode and because of issues I had with its fifth and sixth episodes. 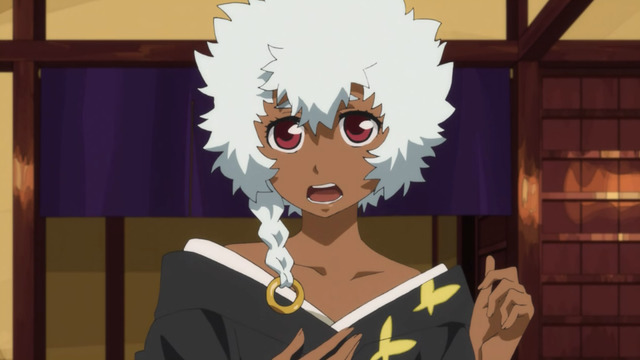 This blog entry includes some spoilers (nothing explicit), but my view through six episodes is that the ERASED viewing experience wouldn't necessarily be diminished by spoilers. I think a viewer can know in advance what happens (at least through six episodes) and still enjoy watching the show. 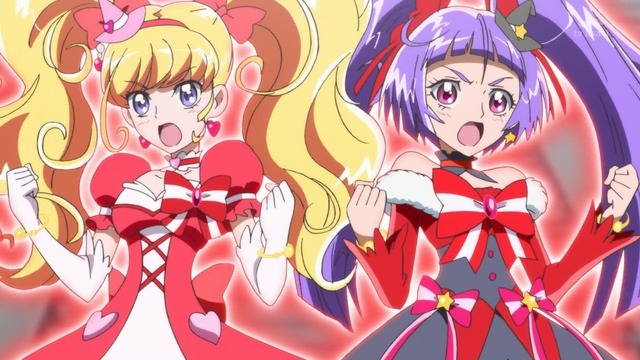 This is partly because a number of twists are easily foreseeable for anyone who puts a little thought into the matter or pays attention to how many episodes remain in the series. 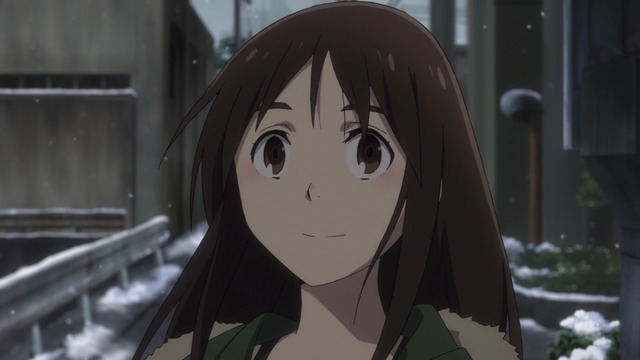 If you've been paying attention to the winter 2016 anime season at all, you probably noticed Boku dake ga Inai Machi (officially localized as ERASED, but sometimes colloquially Bokumachi) was a heavy favorite early on to be the season's best show. 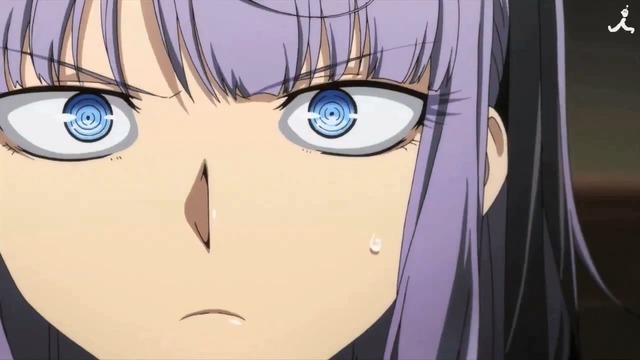 Personally, I had a few problems with the series preventing me from rating it quite so high, and a significant number of fans also grew dissatisfied with the show's second half, but ERASED is still regarded as one of this winter's best anime, despite some issues with the ending. You can also buy them over the Internet, but good luck getting one that hasn't melted. 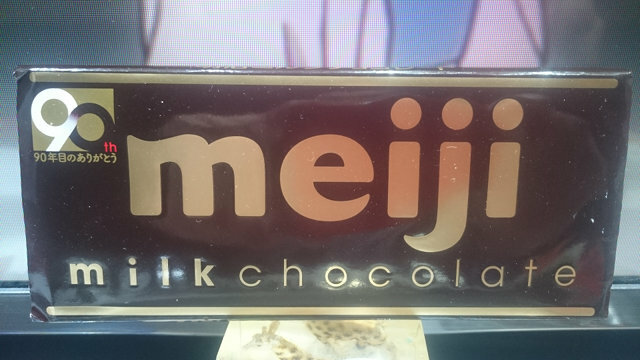 I spotted a Meiji chocolate bar at an Asian supermarket and immediately recognized it as the confection Airi's father from Boku dake ga Inai Machi (ERASED) tried to steal, ruining his life in the process and causing little Airi to grow up in a broken home. According to Detective Conan, shoplifters turn to murder next. It tasted pretty good, but really not delicious enough to throw your life away for it. For reference, it's not as good as the Galaxy or Cadbury chocolate bars from the United Kingdom, but it's definitely better than a Hershey bar from the United States.